Duggan Pond estates is located in the very south end of Crestview. It is located on a beautiful lot with massive evergreens as its back drop. With just under 2700 sq ft of open living space you'll see the 4 large bedrooms and 3 full bathrooms and a gorgeous expansive kitchen. The house also has a very generously sized formal dining area and a large office space. This home has tall ceilings, crown moulding in the master bedroom, tile and hardwood flooring, and has been meticulously cared for by the owners. This property also has a termite bond that is good for the next 4 years. 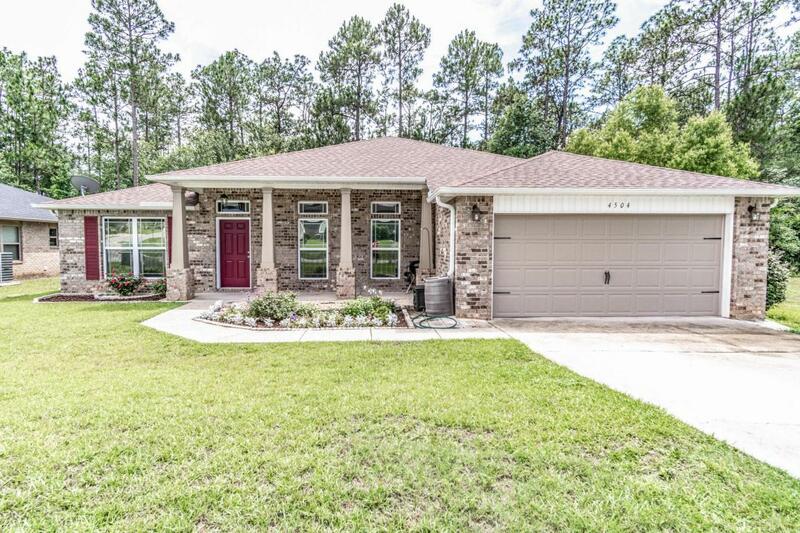 Consider 4504 Hermosa Road as your next home.